Now that fall is officially here and the temps are beginning to drop it will be getting a little chilly at night time so what is a better way to keep away the cool temps? Why it is a quilt! 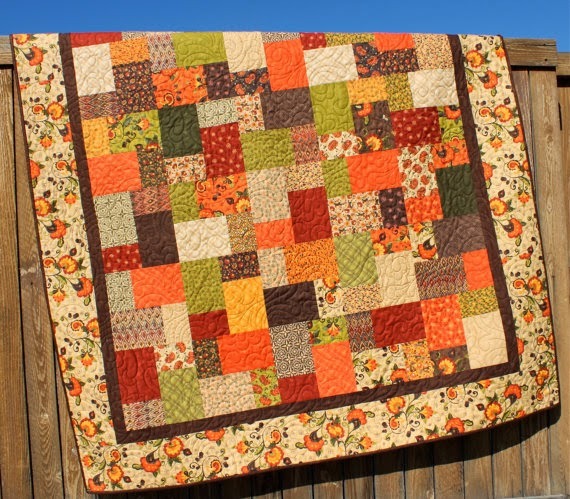 :) Here are a few beautiful autumn themed quilts from the artist of Etsy. The colors of fall are so gorgeous (my favorite time of year!) and these artists have truly made the colors pop! 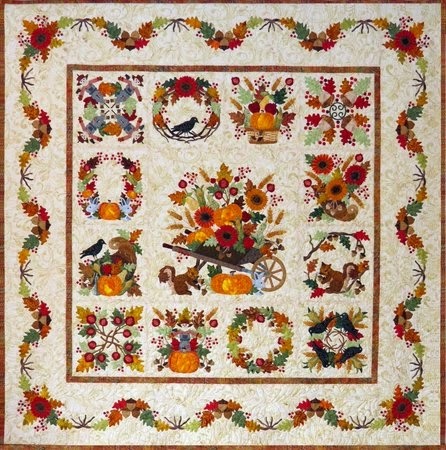 This quilt from Quilted Pleasures show some really pretty leaves and great contrasting black and orange colors. 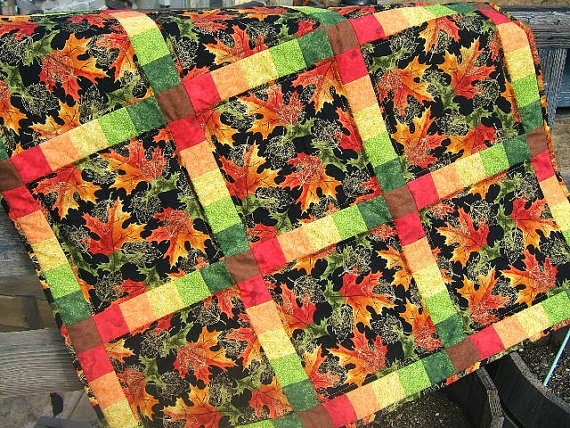 JennyMQuilts also has all the colors of fall in this lap quilt. 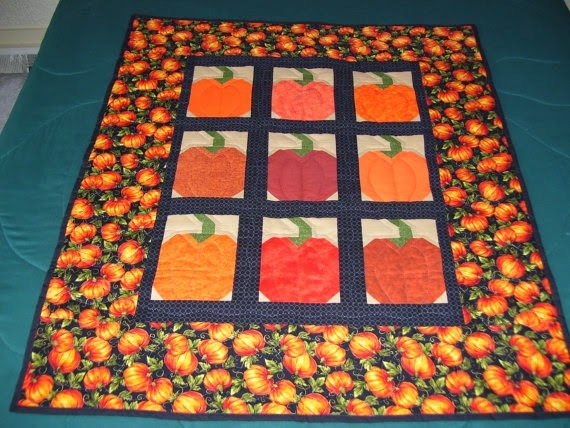 Now....what is one of the most recognized things of fall....yep....pumpkins and AQuiltingV has a whole patch of pumpkins on this beautiful quilt.